She may be the best gymnast ever. 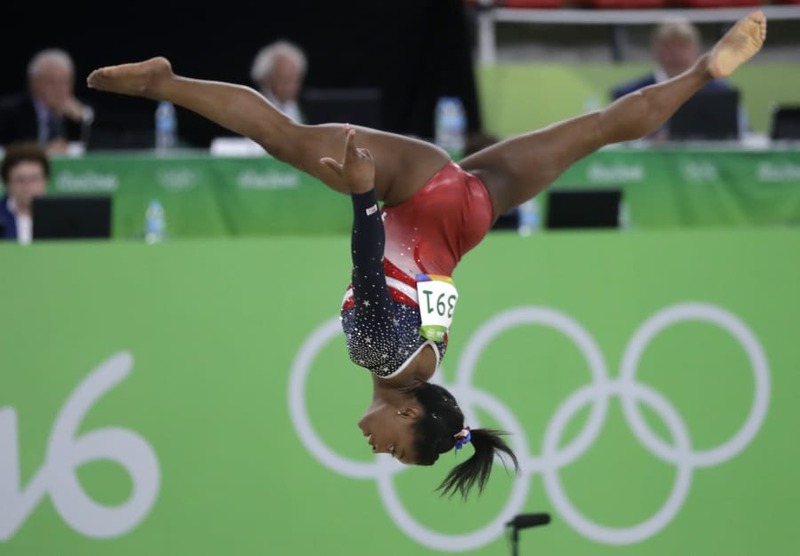 It's time you knew about Simone Biles, if you didn't already. She's an American gymnast and everyone in Rio is talking about her. Except when she's about to flip or tumble or twist as only she can. Then they're momentarily silent. And then they're awestruck. And then they cheer and clap like crazy. And then they go, "How. Does. She. Do. That?" Miles dos things on the balance beam you normally only see on floor routines. 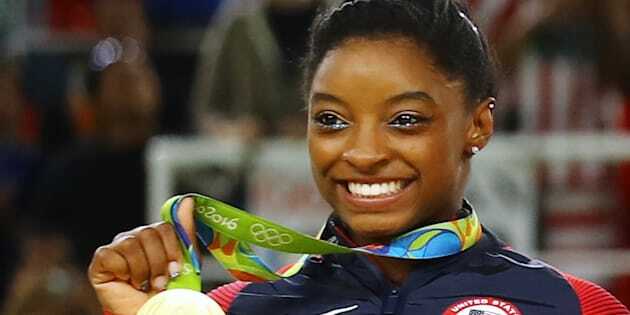 Simone Biles is 19 and has already won 10 world championship medals, but she'd never won an Olympic medal until early Wednesday morning Australian time for the very good reason that she'd never competed at an Olympics. She has now. And wow. Really, wow. Just wow-dee wow wow. She is Superwoman. End of argument. Biles is the talk of Rio right now. You might think that person is Usain Bolt, and sure, Bolt is very good at staging press conferences and samba-ing it up for the cameras. But when a group of people sit down to talk about today's dose of awesome, the conversation will inevitably turn to Biles. 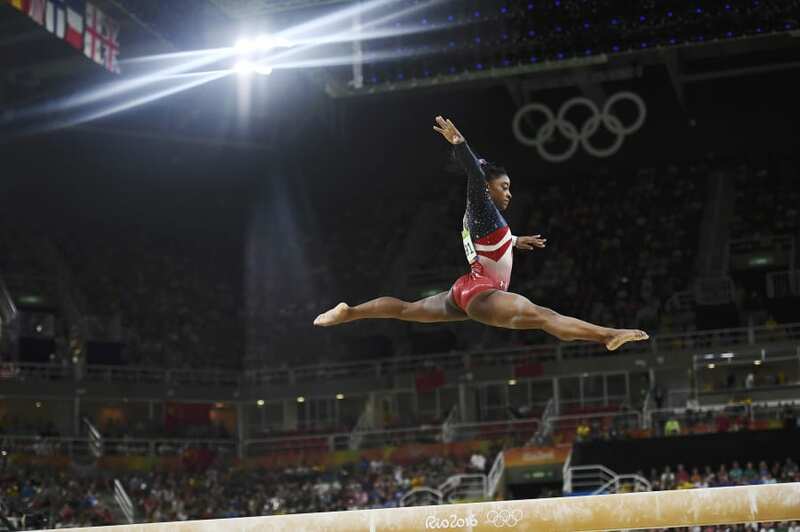 Biles spearheaded Team USA to an emphatic win in the women's team event on day 4 of the Games. Normally teams win by a point here, a decimal there, a tiny mistake here, a stumble there. The USA won with a total of 184.897 points. They could have drafted in Donald Trump to do the last routine and they still would have won. Then came Russia with 176.688 and China with 176.003. 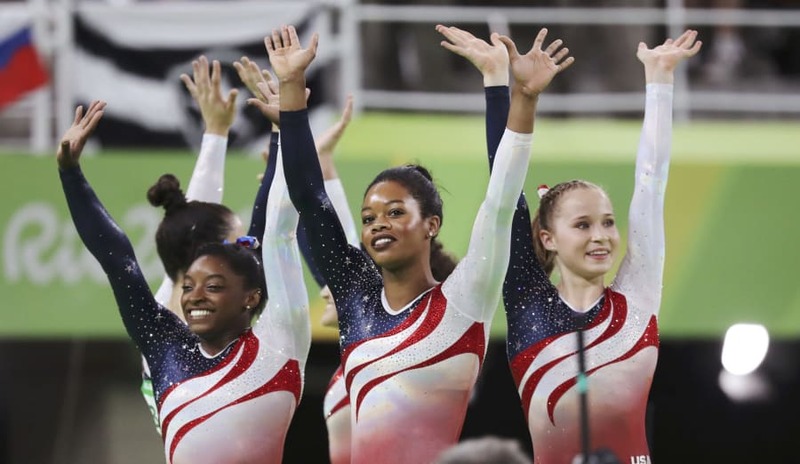 It was such incredible dominance by the Americans, who won each of the four disciplines outright -- the vault, the uneven bars, the beam and the floor. There were others on the team too. But the crowd had eyes for just one gymnast. But for all the brilliance of Team USA, this will always be remembered as the first Olympic outing of a young woman from Columbus Ohio, who was incredibly talented from a young age, despite growing up in troubled circumstances with mother who reportedly suffered from addiction. This is Biles when she was just 13 and still really tiny but already scarily good. Today, her floor routine is now so incredible that she leaps almost twice her height of 142 cm. She has an enormously strong run-up which means more time for tumbling. And then she sticks her landings like her feet are glue. You know this will end up fine. Cos she's Simone Biles. Actually, make that her toes, because that's all she seems to need. So then. One down, four to go. 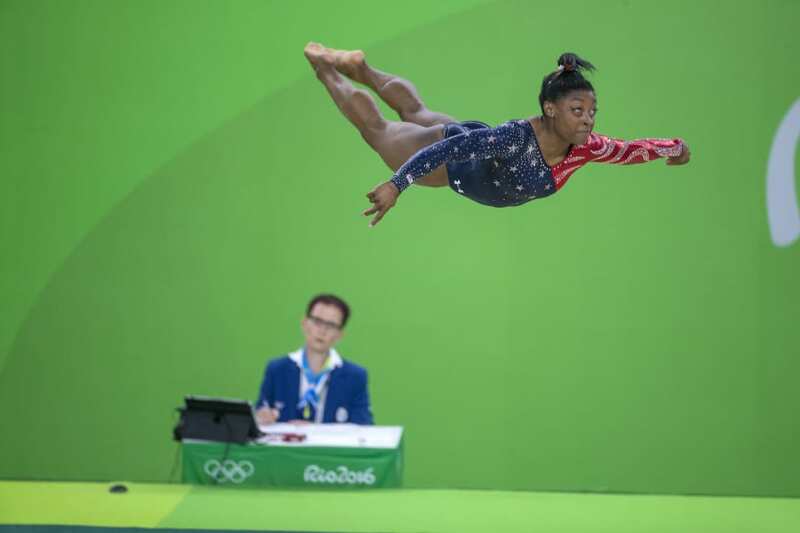 Biles next tackles the individual disciplines, having helped her teammates to the top of the dais. She could walk away with five gold medals at these games. The thing we really admire about her? Sure, we admire what she does, and we admire her back story of overcoming adversity. But we really love that smile. So does the whole of Rio right now.